- Al Mohtaraf, the Saudi design house, is proud to present this collection, bringing together work from some of Saudi Arabia’s leading modern artists. 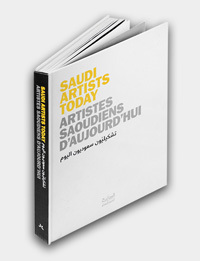 - Exquisitely presented and bound, Saudi Artists Today is an essential addition to the library of books covering the modern Saudi art scene. 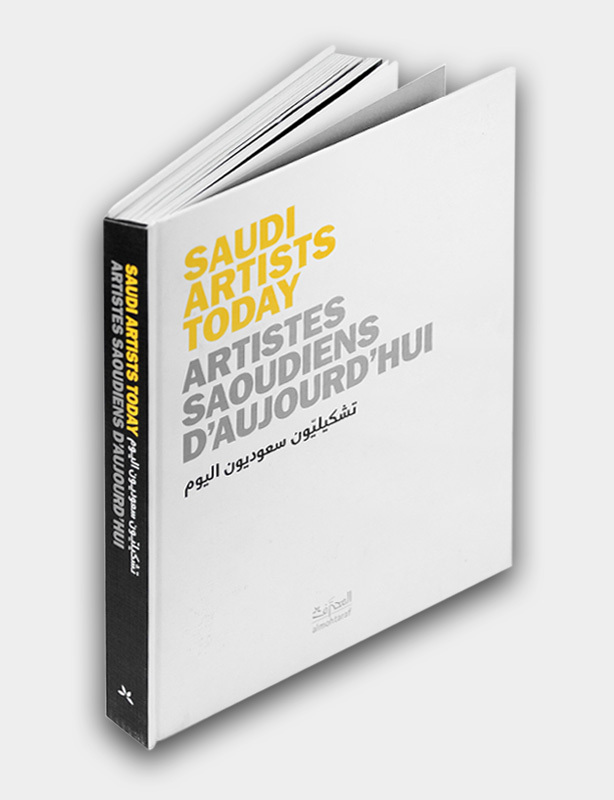 - Includes an introduction written by Abdul-Aziz Ashour, providing an historical overview of the debates and developments that have inspired a new wave of artists in the Kingdom. Compiled and curated by prominent Saudi artist Abdul-Aziz Ashour to capture the richness and variety of the preceding two decades of Saudi art, Saudi Artists Today presents an illuminating and stylish introduction to eighteen of Saudi Arabia’s leading modern artists. The book is not intended as a comprehensive review of the entire scene; rather, it seeks to provide the reader with a representative selection of each artist’s most recent work. Initiated in collaboration with the Saudi Ministry of Culture and Information and designed to accompany a touring painting exhibition aboard, Saudi Artists Today seeks to remedy the dearth of quality collections of Saudi artwork. The book portrays the artists in their individual working and creative environments, placing equal emphasis both on the work and upon the artists themselves. Beautifully rendered photo essays are accompanied by biographies of each participating artist, as well as succinct articles addressing their methodologies, interests and important contributions to the Kingdom’s growing and dynamic contemporary art movement. 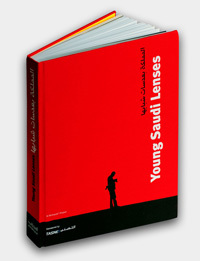 كتاب يقدم نخبة من الفنانين التشكيليين السعوديين لأول مرة بهذا المستوى من الجودة في التقديم والإخراج والطباعة، كتاب فريد للفن السعودي المعاصر يقدم 18 فناناً في آخر أعمالهم. جمعه وقدم له الفنان عبد العزيز عاشور. هذا الكتاب هو إضافة نوعية للكتب التي تتناول الفن التشكيلي السعودي، تم جمع مادته وتطويرها فيما كان الإعداد جارياً لمعرض الفن السعودي المعاصر الجوال في أوروبا من قبل وزارة الثقافة والإعلام لتكون دليلاً يقدم 18 تشكيلياً مشاركاً فيه بآخر أعمالهم الفنية. الكتاب اكتسب أهمية خاصة من اهتمامه بتصوير الفنانين بسخاء في مراسمهم وحياتهم الشخصية والحميمة. فلم يقتصر على تقديم أعمال الفنان كما جرت العادة لكنه قدمه أيضاً كإنسان وهذه ميزة حقيقية، خاصة بالنسبة للمتابع والقارئ الذي يألف هذه الأساليب من الفن المعاصر، ولكنه متشوق ليتعرف أكثر على الفن التشكيلي السعودي وفنانيه وفناناته.